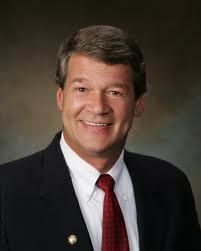 BISMARCK, N.D. (Legal Newsline) - North Dakota Attorney General Wayne Stenehjem issued a cease and desist order Tuesday against two contractors who allegedly made misrepresentations and engaged in contractor services without proper licenses. Wilma Miller and Dan Miller, who do business as Double Diamond Construction and Double Diamond Buildings of Lincoln, Neb., allegedly victimized multiple consumers in a total exceeding $100,000. The mother and son also allegedly lied by saying the company had not performed any contracting work or accepted any advance payments from consumers. The Millers also did contract work without a North Dakota Transient Merchant's License and a North Dakota contractor's license. "The Millers fleeced at least three consumers out of more than $100,000 total," Stenehjem said. "The Millers were not licensed, did not deliver the materials, erect any buildings, or pay their subcontractors or suppliers." The Millers allegedly travel from state-to-state and since the inquiry into their services began have fled North Dakota. "Wilma Miller and Dan Miller are a menace to consumers and they will be held accountable if they ever return to North Dakota's jurisdiction," Stenehjem said. In the state of North Dakota, contractors must be licensed with the Secretary of State's office if they perform work valued at $2,000 or higher.